Shuliy Machinery provides a variety of plastic recycling machines. Plastic recycling machine sold by Shuliy Machinery mainly including plastic film granulator production line, plastic bottle recycling machine production line, plastic foam granulator production line, etc. We will arrange different plastic recycling machines according to different raw materials and output of our customers. The recycled waste plastic is put into the water injection crusher after sorting. The material is cleaned and crushed at the same time, which will not be blocked and entangled. The broken material does not need to be dried and can be directly extruded. Drainage, exhaust, stripping, and pelletizing are completed once for all. It has the advantages of simple operation, high speed, and energy saving. Plastic film granulator is an ideal granulation machine on the market. Plastic film granulator is mainly used for re-granulation of various plastics such as new and old high-pressure polyethylene, low-pressure polyethylene and polypropylene, and color mixing granulation of engineering plastic. Processable plastic includes plastic film, basins, barrels, beverage bottles, furniture, daily supplies, etc. The plastic film granulator adopts numerical control technology with high precision, good contact, high transmission efficiency, stable operation, and low noise. Small size, lightweight, long service life, high load carrying capacity make it popular among people; it is easy to dismantle and easy to install. Foam granulator is a popular machine in the plastic recycling industry. This machine mainly processes foamed waste plastic(such as EPE, EPS (foam), PS (polystyrene), PE and other foamed waste plastic) into PS polystyrene plastic particles which are currently in short supply in the plastic industry. 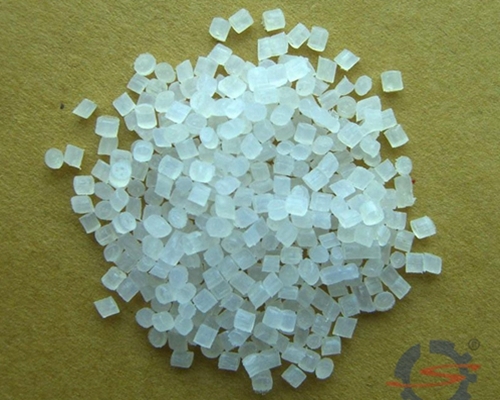 These polystyrene plastic particles can be used to make stationery, toys, KT boards, and electrical shell. The production process of foam granulator is very simple, the investment cost is not high, and it has high economic benefits. The foam granulator has an automatic temperature control system, compact and reasonable structure, small size and high output. It is ideal equipment for foam regeneration and granulation. Plastic bottle recycling machine is mainly used for cleaning, recycling and reusing PET bottles such as plastic bottles, beverage bottles, and mineral water bottles. The bottle grade can be directly sold to the chemical fiber factory for wire drawing after processing for drawing, textile, blowing and other industries. According to the different types of compression bottles, Shuliy Machinery will design the most suitable production line for customers. The processing procedure of the plastic bottle recycling machine is mainly including plastic bottle crushing, separation, heating, and cleaning, dehydration, drying, etc. Plastic bottle recycling machine has the characteristics of high output, a high degree of automation, low consumption, and safe operation. The production line can be designed for customers according to different regions and different production capacity so that customers can get the maximum profit at the lowest cost. Plastic recycling machine sold by Shuliy Machinery has always been a very important type of machine in the environmental protection industry. We hope all customers to use our machines to make profits while protecting the local environment.